Obituary for Carolyn Hebert | Lumberton Family Funeral Home, LLC. 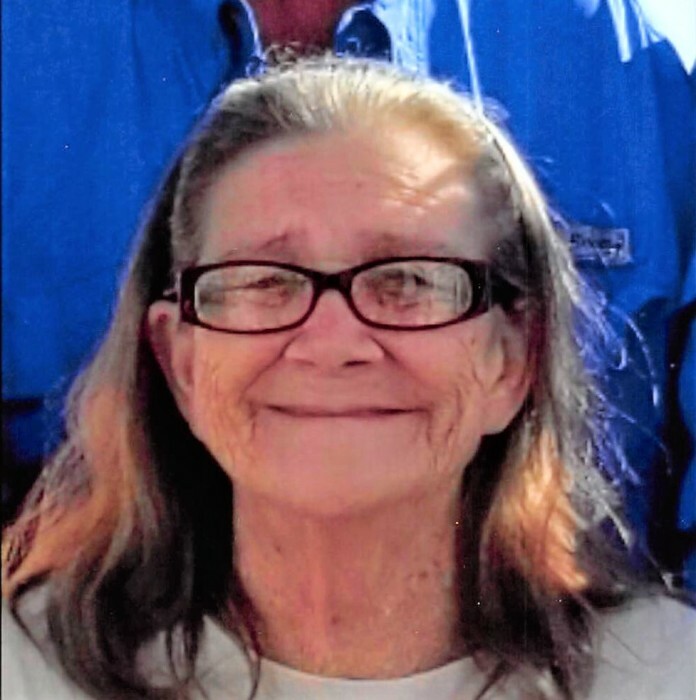 Carolyn Lorena Hebert, age 73, passed from this life on Tuesday, April 9, 2019. She was born on November 23, 1945 to Martin Spears and Pearl Resse Spears in Loeb, TX. Headstrong and expressively passionate, Carolyn’s determined nature was well known by her friends and loved ones. Deep down, she was a good person, both kind and caring; there was hardly a person that lived that had a bigger heart, or a feistier spirit. Carolyn loved everyone, and even if she was mad at you, she was always willing to help and be there for her loved ones. Her childhood was difficult, and losing her dad at young age, she learned to be tough. Growing up in Loeb, a mutual friend introduced her to a young man from Hampshire named Jimmy. Jimmy may have had a few reasons to come to Loeb before then, but after meeting Carolyn, there was only one reason to visit and one person on his mind. They married on September 21, 1962 and spent the rest of their lives together. Jimmy was quiet, she was rowdy, but they were absolutely in love. Each of their natures complementing the other, they never stopped being in love, through the good times and bad times. For 56 years, he was her “Baby”, unless she was upset, then a progressively louder “Jimmy!” came out. Carolyn was often committed to her thoughts, feelings, and beliefs in how a certain task needed to be completed or issue needed to be handled; she was unshakeable once her mind was set. She loved her grandchildren and great-grandchildren, who referred to her as “Grandma” and “Granny”, respectively. She was a big caregiver; Carolyn and Jimmy’s home was always open to those in need. As the years passed, Carolyn’s tough exterior slowly faded to reveal more of her deeply kind and charitable heart. The last two decades of her life were committed fully to church. Attending church up to 3 or 4 times a week, she and Jimmy contributed to fundraisers, went to events, and devoted their time. “If God’s willing and says the same”, Carolyn’s often quoted response to life's situations, reflected her dedication to the things most important in life, faith and family. No matter the circumstances, her life reflected a commitment and dedication to the outcome, not the journey. Her faithful character, occasional stubbornness and loving faithfulness will be remembered by all that loved her. Left to honor her memory is her loving husband of 56 years, Jimmy Hebert; sons, Wayne Hebert and wife, Patsy, of Beaumont, TX and Nathan Hebert and wife, Monica, of Beaumont, TX; daughter, Cynthia Bates and husband, Kerry, of New London, TX; 14 grandchildren; 21 great-grandchildren; and numerous siblings, nieces, nephews and extended family. She is preceded in death by her parents; step-father, H.A. King; daughter, Kemberly K. Mosley; and many siblings. Visitation with family and friends will be 10:00 to 11:00 a.m., Saturday, April 13, 2019, at Sabine Pass Christian Fellowship, 5110 Greenwich St, Sabine Pass, TX 77655. Carolyn’s life honoring memorial service will follow at 11:00 a.m., with Bro. Ken Barker officiating.